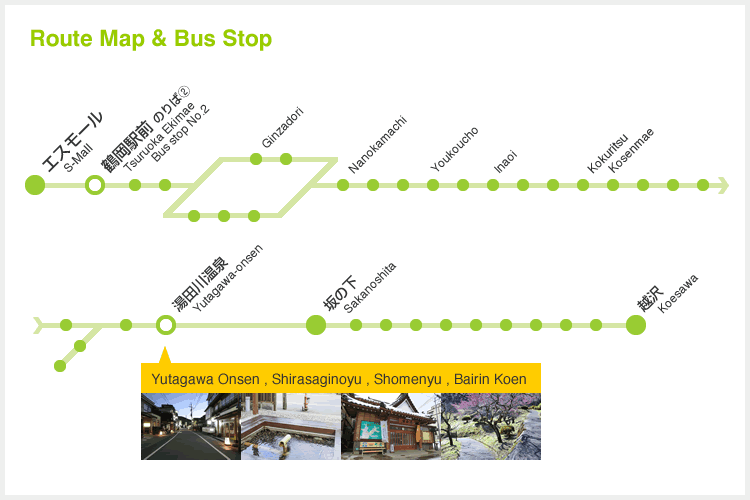 A guide to major tourist attractions and nearby bus stops along the “Yutagawa-Sakanoshita-Koesawa” Line. 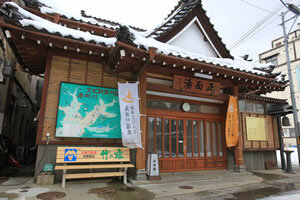 Yutagawa Onsen is called the “parlor room of Tsuruoka.” It is a tranquil hot-spring village that has been loved by many writers and artists. 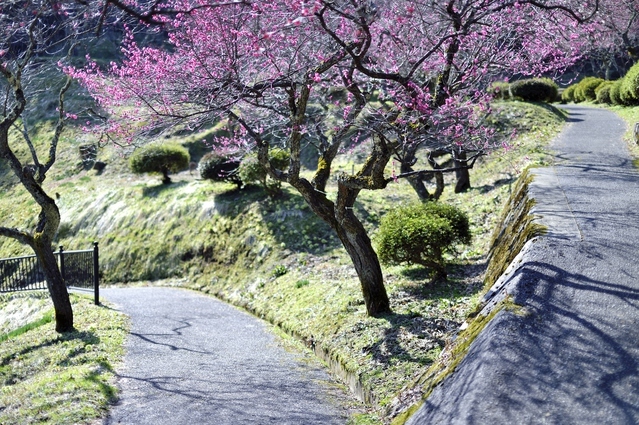 Plum trees bloom in Bailin Park in springtime,and guests are welcomed with dishes made with mountain vegetables and the popular moso-jiru,a soup made with bamboo shoots picked from the nearby bamboo forest.The onsen has a history of 1300 years and has been designated a People’s Recreation Spa. 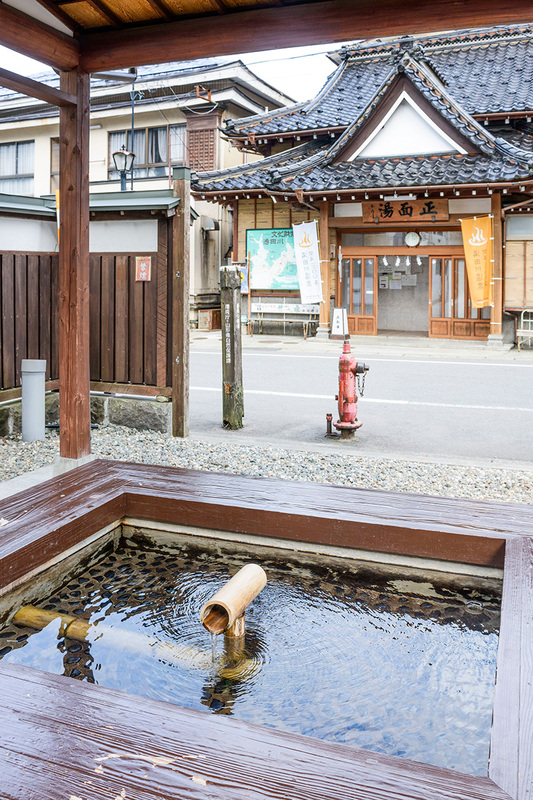 This is a foot bath space in front of the public bath “Shomen-yu,” which allows you to enjoy the quality hot water of Yutagawa Onsen and the ambiance of a spa town. If you are staying at a hotel, please borrow the key at the hotel where you are staying. If you are only visiting the public bath, you may pay at one of the designated stores (Funami Shoten or Oi Shoten) to have them open the entrance. 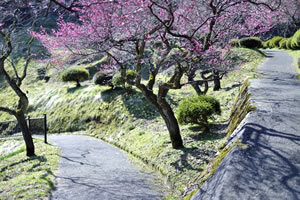 Japanese apricot blossoms and moso bamboo both represent the spring of Yutagawa Onsen. In the park surrounded by the mountains forming part of scenic beauty of Mt. 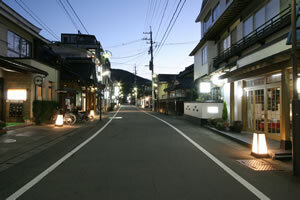 Kimbo, from which you can overlook the spa town, some 300 trees of red and white Japanese apricot come into flower. 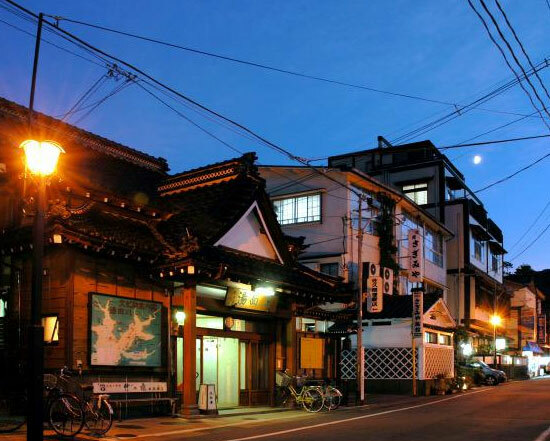 On some of the weekends from late March through early May, when the blossoms are at their best, Ume Matsuri (Japanese apricot festival) is held in the park, including such events as an outdoor tea ceremony. 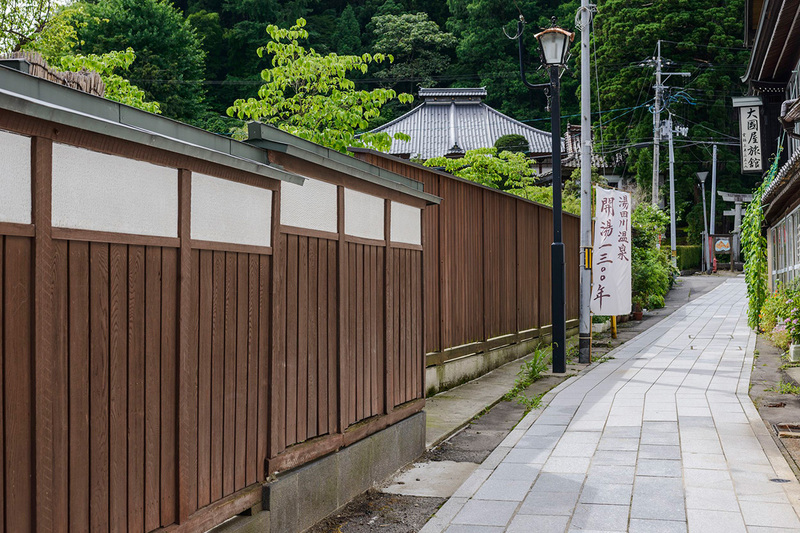 It is a beautiful scenic park surrounded by a bamboo grove, where you can also enjoy peony, tsutsuji azalea, satsuki azalea, iris and daffodil, in addition to Japanese apricot.